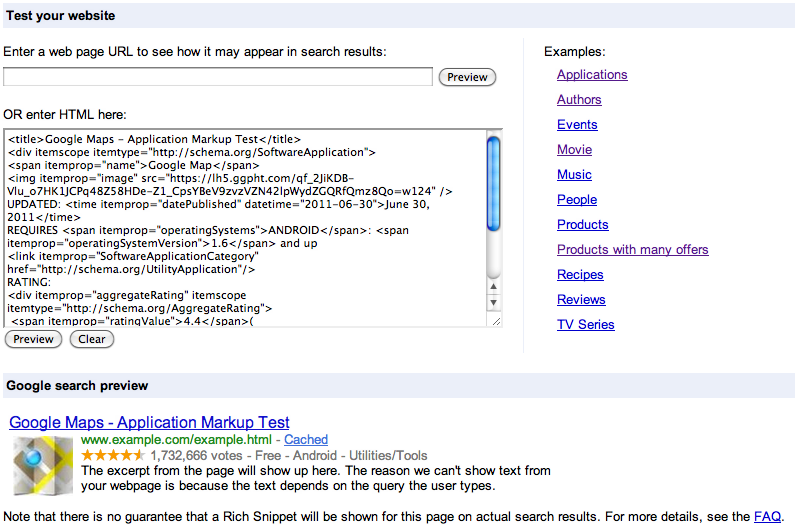 Today we’re announcing two updates to rich snippets. 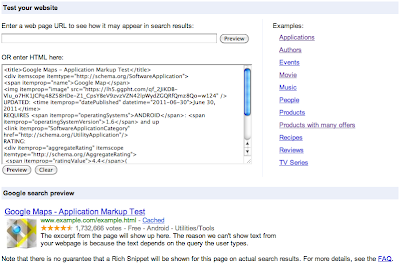 Second, we’ve updated the rich snippets testing tool to support HTML input. We heard from many users that they wanted to be able to test their HTML source without having to publish it to a web page. This is now supported by the tool, as shown below. If you have any questions or feedback about these changes, please let us know in our Help Forum. You can find more information about rich snippets in our Help Center and Webmaster Education site.